HMD Global has been sending invites for a launch event in Taiwan on April 2 where it will launch the Nokia X71 smartphone. The press invite suggests that the upcoming Nokia X71 will reportedly be the first Nokia phone to feature a hole-punch display and a 48MP camera. 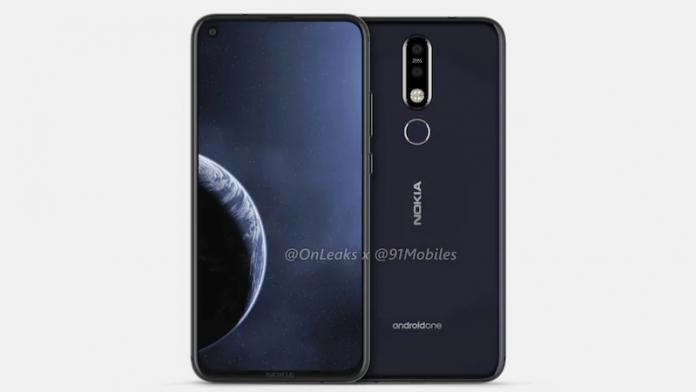 It is expected that the Nokia X71 might come as the Nokia 8.1 Plus globally. 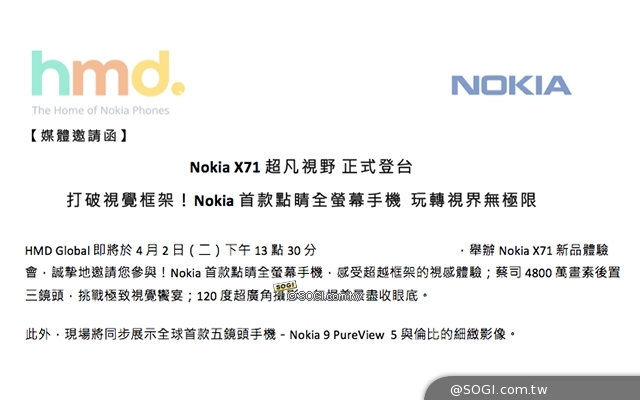 The launch invite for the Nokia X71 was shared by a Taiwan-based website Sogi. The invite reveals that it will pack a 48MP primary rear camera and a 120-degree Field of View (FoV) secondary camera for taking wide-angle photos. The Nokia X71 will also sport the full-screen display with a punch-hole design for housing the front camera. It is to be noted that HMD launches its ‘X-series’ smartphones in China that later launch in the global market with a different name. For example, the Nokia X6 was launched as the Nokia 6.1 Plus. Further, the Nokia X71 and the Nokia 8.1 Plus might have some differences in terms of camera. The X71 is expected to come with a triple rear camera setup, while the 8.1 Plus will pack dual rear cameras. 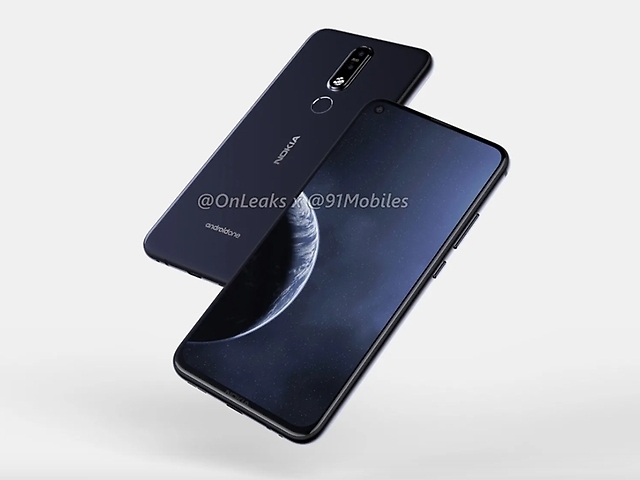 Previously, press renders of the Nokia 8.1 Plus surfaced online that revealed the punch-hole display and dual rear cameras. The display size is expected to be 6.2-inches but there is no information on the resolution and aspect ratio. The Nokia 8.1 Plus will reportedly be powered by the Snapdragon 710 SoC. There is no word on the rest of the specs.